1. 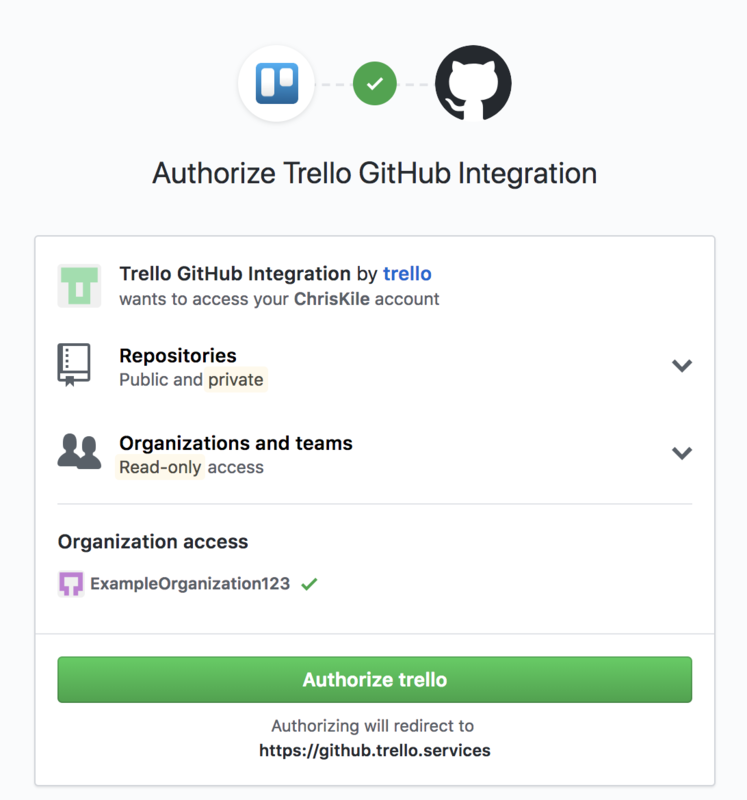 Remove the authorization for the GitHub Power-Up from Trello and GitHub. a. To remove authorization in Trello, go to the board's menu, then Power-Ups, then click the gear icon next to GitHub and select "Remove Personal Settings". Clicking 'Revoke' next to 'Trello GitHub Integration' will remove the Trello GitHub Power-Up's access. On this page, make sure that the organization has a green checkmark next to it (like the Trello org in this screenshot). If it doesn't, you may need to reach out to your organization's admins to change its settings. It may be that the organization has third party application restrictions on it. See https://help.github.com/articles/about-third-party-application-restrictions/ for more information.